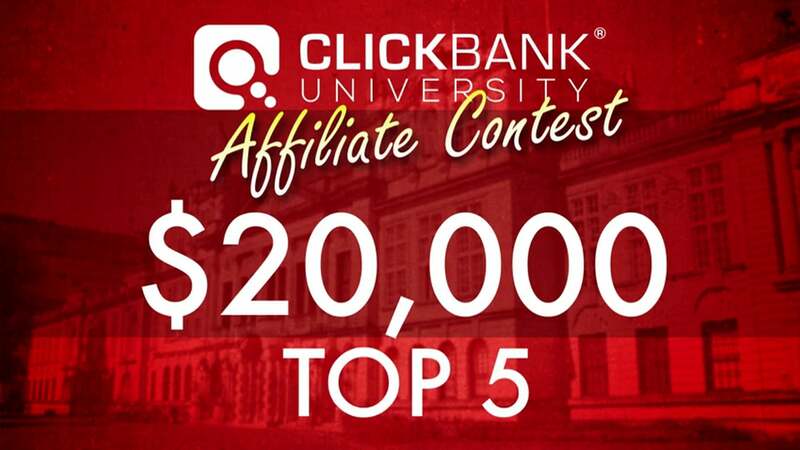 Clickbank University Review: Is it Worth The Price? 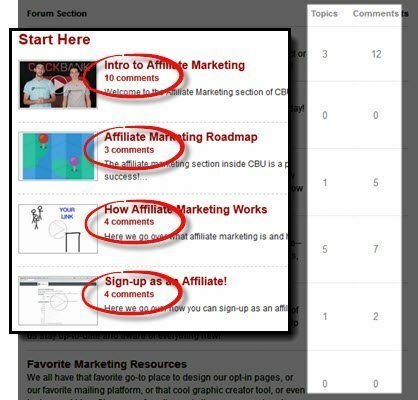 Clickbank University is a training center and community on how to create your own info products to sell online. You can also learn how to market other people’s products via affiliate marketing. The quality of training is very high, and the community is somewhat active. The price is quite high but not unreasonable for what you get. I think this could be a good product for someone looking to market information via their own info product listed on Clickbank, but not for someone looking to make money in affiliate marketing. Usually I have to deal with con artists trying to squeeze every penny out of me on sales pages, so Clickbank’s straightforward sales page was a pleasant surprise. They are clear about what you will be doing inside the members area, and what your money will pay for. The only thing that put me off was the emphasis on financial independence and leading that “ideal lifestyle” of working from home. While I agree that this is possible via the methods they teach, I felt it was a bit over the top and reminiscent of other scammy products that I review. They have a legit training center and don’t need to play that type of game. The main training center focuses on product creation, which is different from most other “make money” systems that I review. Product creation can be a very lucrative online business if you create a high quality product(s) and can drive traffic to your site. One last thing I liked was that their Facebook page was pretty active as far as their posting goes. It’s always good to see that product owners are active in social media because it shows they are investing time in the business, rather than sitting back and waiting for paychecks as you struggle with the training. Is Locked Modules Really for My Benefit? $97$47 per month (reasonably priced now), they still continue to lock it, and you can only open the modules they deem useful, at a time they decide. Sure you can unlock everything and do it at your own pace, but it’ll cost you an entire year of “tuition” in one go. So if you are an ambitious individual, you’d better be a rich individual as well, because you’ll need $800 to get access to the material. It was difficult to do a real analysis of all of the training they offer because the $1 trial really only gives you access to introductory videos. If what I saw is representative of what they plan to deliver later on, then the training is very much worth the $97 per month fee. They seem to be very focused on the business model of product creation, squeeze pages, sales pages, and building email lists. I’m not a fan of this because many times you end up having to pay for traffic from no-so-great sources, or focus on getting affiliates to market for you (if you are just starting out, this will probably add to your challenges). Though more labor intensive, I have had much more luck with free traffic from Google using keyword research and blogging. I may be wrong, but I didn’t see anything about that in their training. Clickbank has since updated their monthly price to $47/month, which is a lot more reasonable than what they were charing before. However, signing up for CBU also means you get stuffed into a typical sales funnel where the second you buy something, you are asked to buy something else. You can see from the affiliate information below that there will be a series of upsells and downsells after signing up. It seems odd that they would be charging for a website builder now, since WordPress is 100% free and the most widely used builder out there. 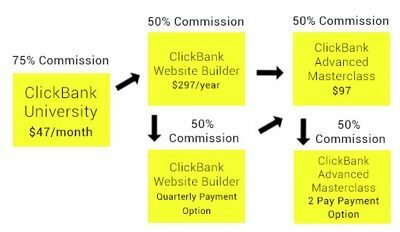 I do not know what the current builder is, but if it’s unique to Clickbank, it will mean you cannot move your website to another host if you decide to leave. I will update on this soon, along with what the new yearly price is. When I first landed on CB University, I heard crickets chirping. There were not very many comments, and those few comments that were there, were not answered. Some that were answered, were done so by other members. From 4 pages of comments on one of their training modules I created this graph to demonstrate the sorry state of support inside the members area. However, as I browsed the site more, I saw that there are in fact some “experts” that answer the questions of the members. Who gets answers, and how often the staff chime in to help out is very hit and miss. Some modules had staff replying to every comment, while other modules had none. I would say that more often than not questions were not answered, and there seemed to be a lot of confused non-English speakers asking things that were not appropriate to the specific page they were looking at. Part of the appeal of paying for a monthly membership being part of an active community that you can exchange ideas with. In the sales video, we were told that Clickbank University had a pulse, and was a thriving community of people just like us. But after investigating the training, community, and Facebook page I actually saw very little activity. There were rarely more than 10 comments on a training video (including moderators), the most active part of the forum was the “self introduction” top (12 comments), and the Facebook page had nothing. Granted, this is a pretty new product, but I would think that Clickbank would have the experience and the means to popular their own community. $797(not sure what the yearly price is now) to pay the discounted membership price for full access to all the training from day 1. Thank you so much for these informative posts ! Bluehost is definitely the best web-hosting company with plans for all of your hosting requirements. and individuals, and I ｅnjoy the writing youｒ ｅxperience this way. just enjoy your showing your skills in this manner. Excellent reviews.More info URL is not working.Could you check it please.Overall this review will definatley help people who want to learn about online marketing.